The last place one expects water to be is suspended overhead. Conventional ceilings are just that—conventional. 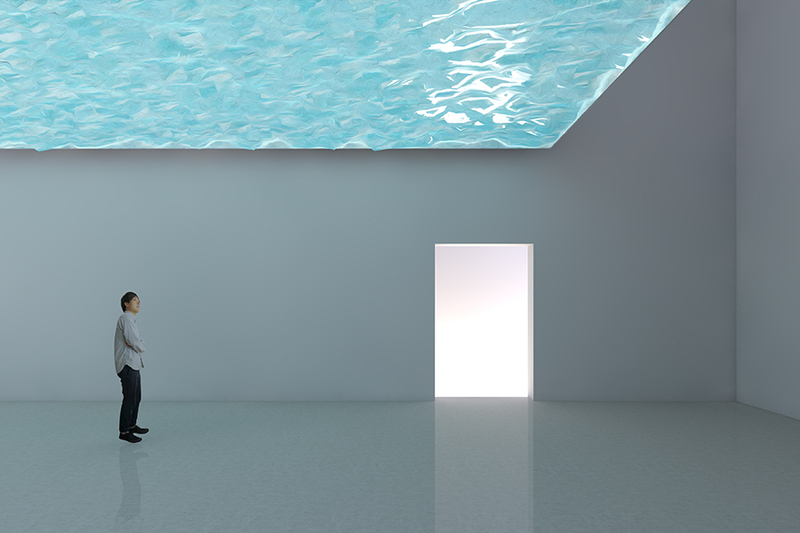 Suspended Flow is a ceiling system designed to appear as gently turbulent water that is magically frozen in place. Made from thermoformed recycled acrylic, the translucent ceiling has polished edges that naturally reflect ambient light, and the system may be backlit with programmable LEDs of various intensities and colors. Suspended Flow is clearly a tongue-in-cheek design; however, it is also intended to bring psychological benefits: although users recognize that the ceiling cannot be made of actual water, the visual suggestion of a flowing river has the capacity to relax and cool building occupants. 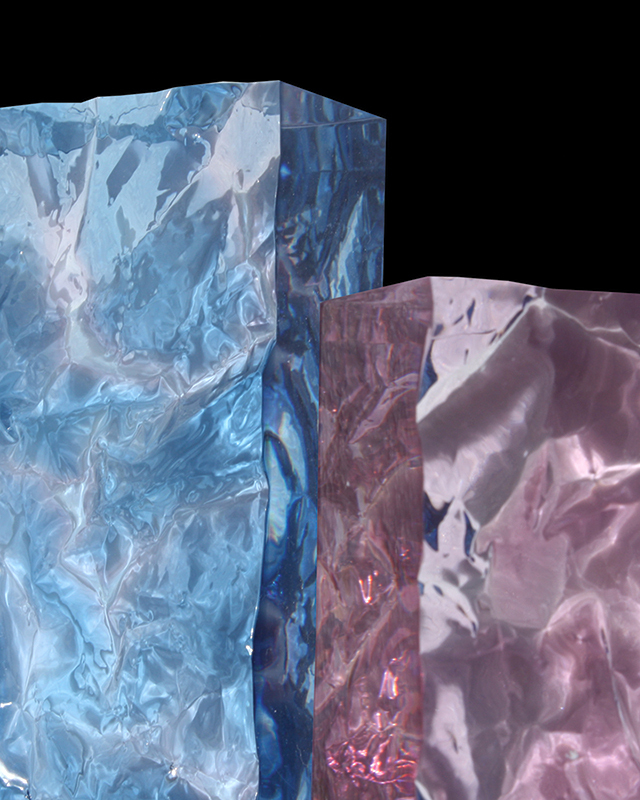 Precedent: Ice R-Cast Acrylic, made by Reynolds Polymer Technology. The texture is completely randomized without any repetitive patterns. Photo courtesy of Reynolds Polymer, Inc. Suspended Flow can impart a dramatic visual impression within a space.